MIAMI - Nov. 14, 2018 - PRLog -- Alexander I. Tachmes, a partner in the Miami office of Shutts & Bowen LLP, is working with key South Beach property owners and businesses to make their commercial sector safer and more successful. Shutts & Bowen has been asked to represent all of the businesses and properties between 5th Street and 15th Street along Ocean Drive and between 5th Street and 17th Street along Collins Avenue to form one of South Florida's largest Business Improvement Districts (known as a "BID"). BIDs are special taxing districts, which provide funds for enhanced City services such as police and sanitation, for a specific area. BIDs have previously been formed for Wynwood and Lincoln Road. 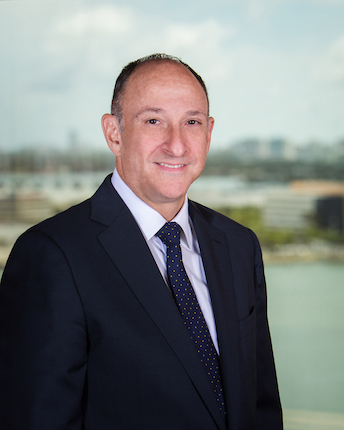 Mike Palma, Executive Vice President of the Southeast U.S. for Jesta Group -- which owns the Clevelander and Essex House Hotels, Tachmes' clients – is proposing the formation of a BID incorporating the bustling promenades along Ocean Drive and Collins Avenue. Palma is also the Chair of the Ocean Drive Association, which is the main organization representing all the businesses on Ocean Drive and focuses on many issues involving this iconic street, such as special events, safety, and cleanliness. If approved by a majority vote of the property owners within the proposed geographic boundaries, the BID would raise money for security needs, pedestrian safety, marketing, landscaping and other services needed by businesses and owners. Miami Beach City Commission approval is required before ballots may be sent out to property owners to vote on the BID. If all goes well, property owners may expect to receive their ballots approximately mid-year 2019. "A South Beach BID would be an extraordinary step forward for the future of our community," said Palma, who has been instrumental in leading positive change on Ocean Drive in the last few years. "The BID will unify the district, providing a better and more cohesive experience for residents and visitors alike." Shutts & Bowen and Tachmes, who has a long history of representing property owners in connection with complex governmental matters, will provide all legal services associated with the BID approval process. Tachmes said that currently many of the larger businesses have had to shoulder the lion's share of the cost for many enhanced services needed by the business community, such as additional police security and enhanced trash collection required during holiday weekends. "The BID would do a better job of spreading the load of these costs across the community in a more equitable way," he said. "This newly created fund would also be put to good use for the business community for years to come through additional promotion, beautification, and other projects." Shutts & Bowen, established in 1910, is a full-service business law firm with more than 290 lawyers in offices in Ft. Lauderdale, Jacksonville, Miami, Orlando, Sarasota, Tallahassee, Tampa, and West Palm Beach. Learn more about Shutts & Bowen at www.shutts.com (http://shutts.com/about/).